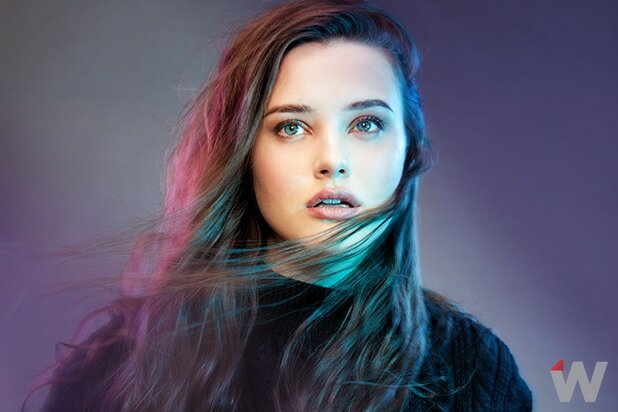 Katherine Langford The breakout star of "13 Reasons Why" is 21 years old. Hannah Baker, the high school student she plays who ends up committing suicide, is only 17. 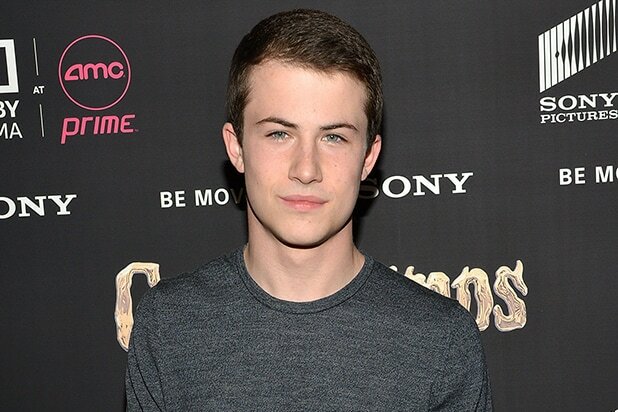 Dylan Minnette Minnette's Clay Jensen plays the love interest to Langford's Hannah. Clay is also 17 on the show, but Minnette is 20. Though only a 3 year difference, during that age span, teens turn to twenty-somethings that can vote and are in college. Christian Navarro Navarro's Tony Padilla in "13 Reasons Why" is everyone's favorite nostalgia-loving, good-haired guardian angel. But while his character is supposed to be 18, Navarro is 25. Talk about a super senior. Alisha Boe Boe plays 17-year-old cheerleader Jessica Davis on "13 Reasons Why," but the actress is 20, just like Minnette. It's clear from the way she delivers those dry one-liners that she has more experience than her character. Brandon Flynn Rounding out the "13 Reasons Why" crew is Flynn, who plays 17-year-old bad boy Justin Foley. Flynn is 23, making him a whole kindergartner older than his character. K.J. Apa The main character in The CW's "Riverdale," Archie is only 15, while Apa is 19. So while he's the youngest on our list, he's had time to grow up way more than most high school sophomores. Lili Reinhart The quintessential girl-next-door in "Riverdale" that's based on the "Archie" comics is 15-year-old Betty, who is played by 20-year-old Reinhart. We've never seen a more put-together teenager. Camila Mendes New girl Veronica Lodge in "Riverdale" is the same age as Betty and Archie, but Mendes is 22. Cole Sprouse The narrator of the murder-mystery, Sprouse plays Jughead on "Riverdale." Jughead is also the same age as the rest of the sophomore crew, but the actor is 24. 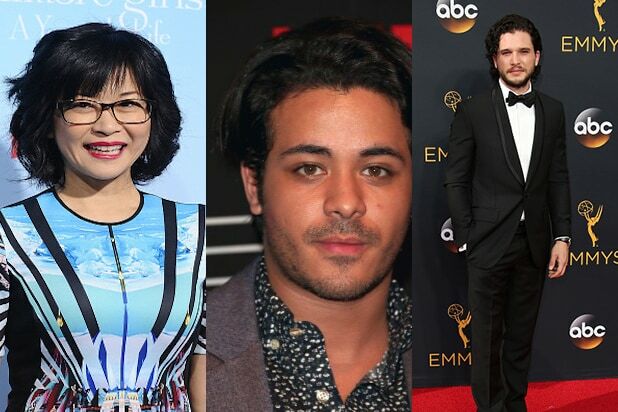 Kit Harington "Game of Thrones'" Jon Snow might know nothing, but we have a feeling Harington knows a lot. The actor, 30, plays the born-again hero who is supposed to be 17 at the start of the series. In the books, Snow is 14. Emilia Clarke The "Game of Thrones" mother of dragons is 30 IRL but, at the beginning of the series, Dany is only 14. Jack Gleeson We all love to hate the young King Joffrey on "GoT," who is only 17 when he becomes protector of the realm. In the books, he was 13. Gleeson, though, is 25. Lucy Hale What a pretty little liar... when it comes to age. Hale is 27. Her character begins the show at 16. Shay Mitchell Mitchell plays another fourth in the girl squad on "Pretty Little Liars." She's 30, where her character Emily is 16 at the beginning of the series. Ashley Benson The actress is 27, whereas her character Hanna on "PLL" is 16 just like the rest of the group. Troian Bellisario The last of the "PLL" crew is also the oldest. She's almost twice her character's age at 31. Jason Earles Remember "Hannah Montana?" Remember Hannah's annoying older brother? Yeah, he was 15. Earles is 40 now; he was 29 when he played Jackson. Ian Somerhalder The smoldering Damon in "The Vampire Diaries" was turned into a vampire when he was 17, but Somerhalder is 38. Sophie McShera McShera plays the young kitchen maid Daisy in "Downton Abbey." McShera is now 32. Keiko Agena Lane is perhaps the most underrated character on "Gilmore Girls." She's 16 at the beginning of the series, but the actress was more than 10 years older than her character at 27.